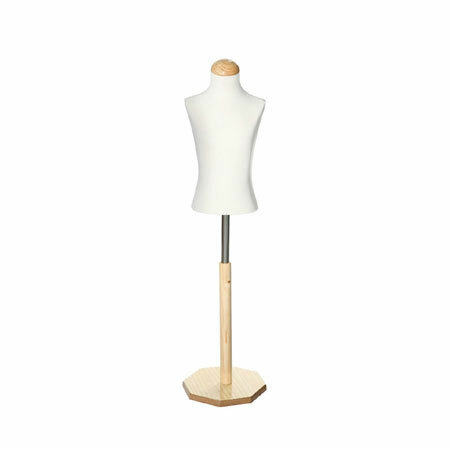 This high quality display bust is great to display garments or use as a tailor dummy. Child Body Form Age 12 years is supplied with timber neck mounted on a beech hexagonal base. The adjustable stand makes this display bust extremely versatile. this vintage style display bust adds class and elegance to any retail environment.